Today is the fifth day we woke up without Krassi’s large smile greeting us. Without the cheerful laugh of our fellow travelers. Without Galin presenting us with (yet another) bursting with adventures daily schedule. Today, Darina won’t be telling us about the oh-so-unbelievable legends Kavarna is whispering to its visitors. But we’ll go back. This last trip wasn’t just a holiday. It was a life changing experience. It resulted in 9 people repeating “Make a U turn and go back” for a little over 8 hours. Let me describe it step by step. 11 of us left Sofia on Thursday evening and drove all the way to Kavarna. I’d like to take a moment here and say: never ever (ever) drive this route at night. Bulgaria is stunning but our government has a lot to do when it comes to good road conditions. We arrived in Balgarevo at 3 am. After a glass (or several, who cares!) of beer we jumped in bed looking forward to the next day. And boy, did we have what to look forward to! Galin, Darina & Milena joined us at 9 am and we started crafting the plan for the day. I have no clue what happened then, because when we left an hour later Ellie and I knew one thing only: follow Galin’s car. But that was enough for us: you trust this guy the minute you see him. Our first stop was the legendary Kaliakra Cape, standing proud on the Black Sea coast and quietly reminding us of the bravery of 40 Bulgarian virgins who chose death to slavery. Check out the link above for the legend and more info. After taking a handful of pictures and walking around Kaliakra, we took off to our next stop: the Ongal. 7000+ years of history presented in about 30-40 minutes! The historical audio-visual center Ongal is a true gem. We hope to see places like this one all over Bulgaria. To make it even more appealing for the visitors, Valentin Simeonov added a nice coffee shop/bar where you can get drinks after the event and goof around with swords and armors from ancient times (they didn’t really look like replicas to us). Next stop was the archeological reserve Yailata and thanks to Darina from the Kavarna Tourism Association, we had an absolute blast! The scenery and the carved out caves in the rocks make this place a dreamy location for spending as much time as possible! Our next stop were several caves, hollowed in the rocks of a nearby beach. As we found out from Galin, many locals have no idea of the existence of those. 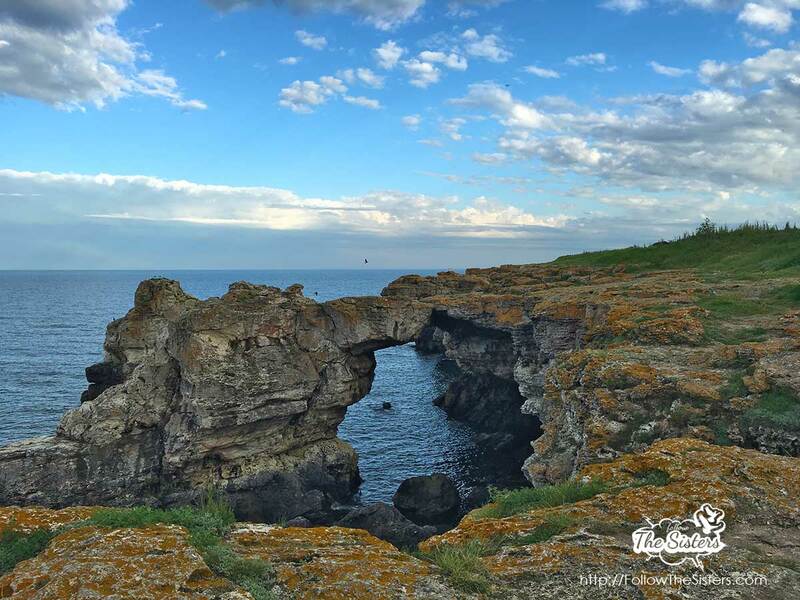 What astonished me is that this place appeared to be one of the few areas without cell phone connection, so if you’re looking for the perfect location to meditate on the black sea coast, perhaps this is it. To conclude the day with a beautiful scenery, we headed to the arch in Tyulenovo – one of the most photographed locations in Bulgaria. I strongly suggest you visit it soon. To our opinion, the arch won’t survive much longer as the wind and the sea are fierce warriors. Our evening ended with a dinner in the restaurant of Bistro Central Park. We were certainly lucky to be surrounded by locals who knew where to take us for dinner. We had a blast and can’t thank them enough for surprising our birthday boy (Todor) with a wonderful cake! This was the moment we all waited for and the moment we dreaded (at least us, women). Who would have thought that sea kayaking can be so absolutely amazing? It turned out to be an adventure to recommend to absolutely anyone, regardless of the person’s fitness level! If you’re coming to the Bulgarian Black Sea coast don’t miss this. What Galin & Krassi can arrange for you (as they did for us) promises to be the highlight of your Black Sea holiday! We spent most of our day on the Bolata beach and in the sea, switching between the boat and the kayaks and smiling so hard, our cheeks were hurting the end of the day. Well-tanned and happy as kids in a candy store, we headed over to a well-deserved lunch in the Nash Dom Guest House. Guys, that was yummy! If you’re anywhere in the area – go grab a bite in the wonderful atmosphere or better yet: stay there and enjoy the garden for as long as you can. Our next step was the festival “With Bulgaria in the heart”. Ellie will tell you more about it, but I’d like to take a moment and thank Krassi. After the group was ready to leave he saw me crying my eyes while watching one of the performances. Instead of judging me for being a cry baby, he just quietly stayed with us so we can can freely dive into our emotions and experience the festival with our hearts. The restaurant we went to afterwards was the most perfect end of the evening we could wish for. The St. George’s mehana took our breath away and I am being literal here! For a little over 5 hours we didn’t stop dancing traditional Bulgarian dances (and some other types of dances). It was magical, tiring and absolutely awesome! That was all possible, of course, because the cuisine was delicious and satisfied our cravings after the long, gorgeous day we had spent in Kavarna. So why was this experience so life changing for us? Shortly before heading over to Kavarna, I had received a proposal to travel Africa for a year. When I first got the email I nearly started packing my bags. And then Kavarna “happened”. And I met the people there. And saw beauty I had no idea existed in Bulgaria. And I realized: although Africa is tempting and I most certainly want to visit it, I have an unfinished business here in Bulgaria. And this business involves showing you the magnificent scenery of this country and telling you the stories of the people who have walked, are walking and will be walking these lands. I hope you will enjoy this journey with us as this mission is our way of opening our hearts to you and connecting, wherever in the world you may be. My sweet home, my lovely friends, I miss you! Thank you for stopping by Borislav. I’d go for a wild guess: you’re from Kavarna and missing the region. Well, I completely understand your point – it’s GORGEOUS over there! Wishing you luck in visiting your home soon! So emotional and beautiful! 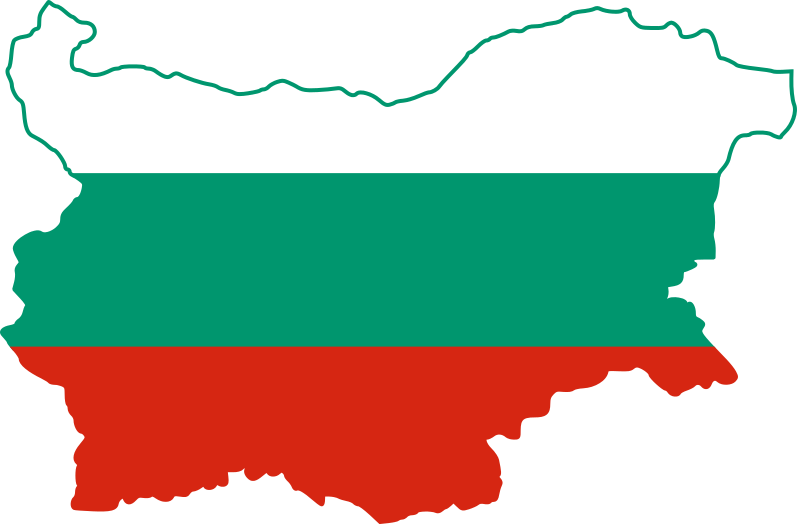 This is amazing way to present Bulgaria and its beautiful places and people! Thank you for this, Nina! Nina, your way of writing and showing your emotions is really beautiful…. I wish you more journeys like that in Kavarna to show you once again that your choice to stay here is the best one! Thank you, gorgeous!!! I hope we travel together a lot more! Wonderful story, Nina, which has brought me back to the North part of our Black sea. Countdown till the next time we go there has began! September is around the corner Eli! next post: Yailata: archeological reserve or a luxurious hotel in the rocks?